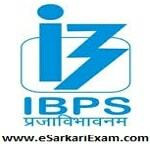 Eligible Candidates can Download IBPS PO/Management Trainee VIII Final Result at the Official Website of IBPS. Applicants First Open IBPS Official Website. Click on Common Recruitment Process for PO/MT VIII Link. Now Click on View Combined Result of Mains Exam and Interview for CRP PO/MT VIII Link. Download and Check Final Result.